- Charlie Bears Australia Limited. - Charlie Bears North America Incorporated. Charlie Bears Limited is made up of different legal entities, details of which are set out above. This privacy notice is issued on behalf of Charlie Bears Limited so when we mention "we", "us" or "our" in this privacy notice, we are referring to the relevant company in Charlie Bears Limited responsible for processing your data. We will let you know which entity will be the controller for your data when you purchase a product or service with us. 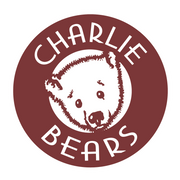 Charlie Bears Limited is the controller and responsible for this website. 3 ) How is your personal data collected? Service providers acting as processors based worldwide who provide IT support services.